Are you ready for some serious eye candy? 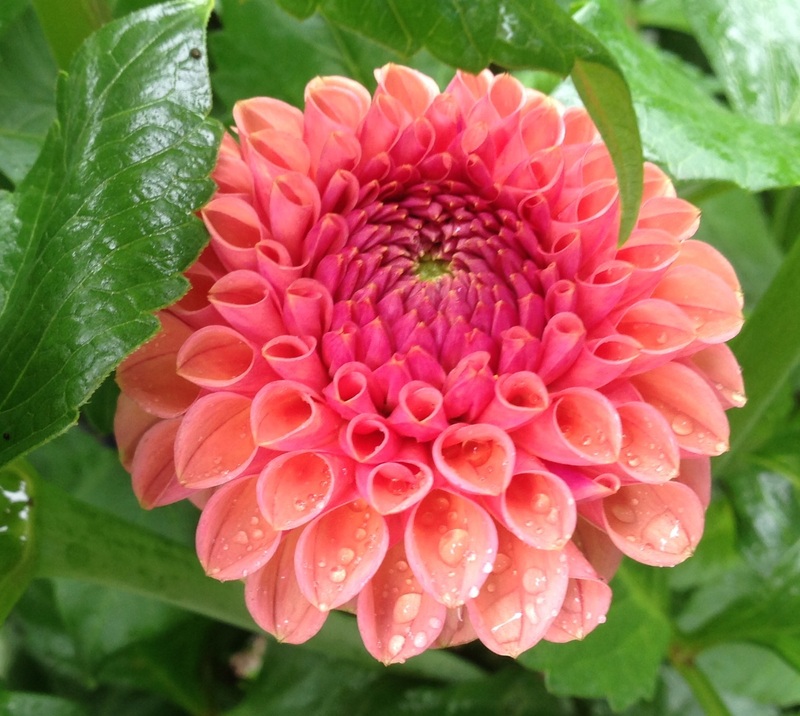 If you didn’t already love dahlias, I am sure you will become smitten after reading this post. Before we get to the gorgeous flowers, a bit of background information on these outstanding plants. 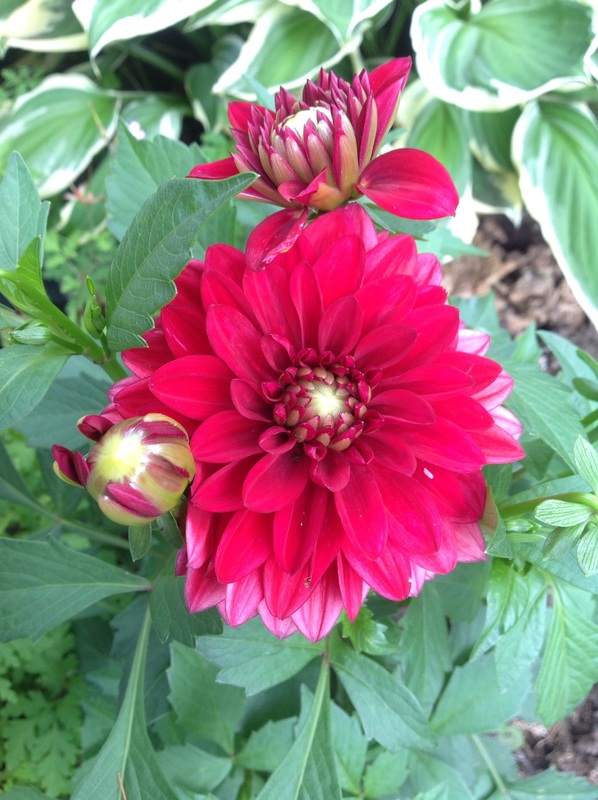 Dahlias are native to Mexico and were discovered by the Spanish Conquistadors. They are members of the same family as daisies, asters and sunflowers and are the national flower of Mexico. 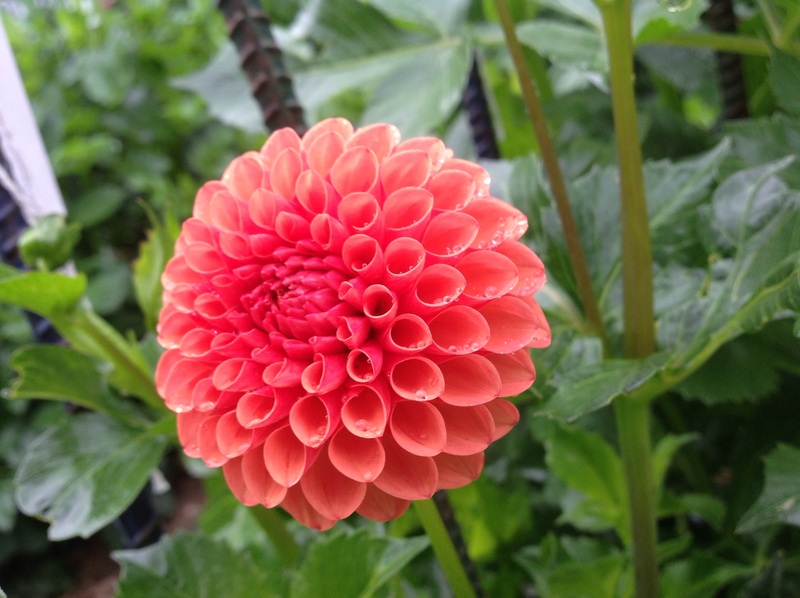 With more than 20,000 species in 12 categories which include the pompom, cactus, single anemone or peony forms, there are dahlias for every taste. 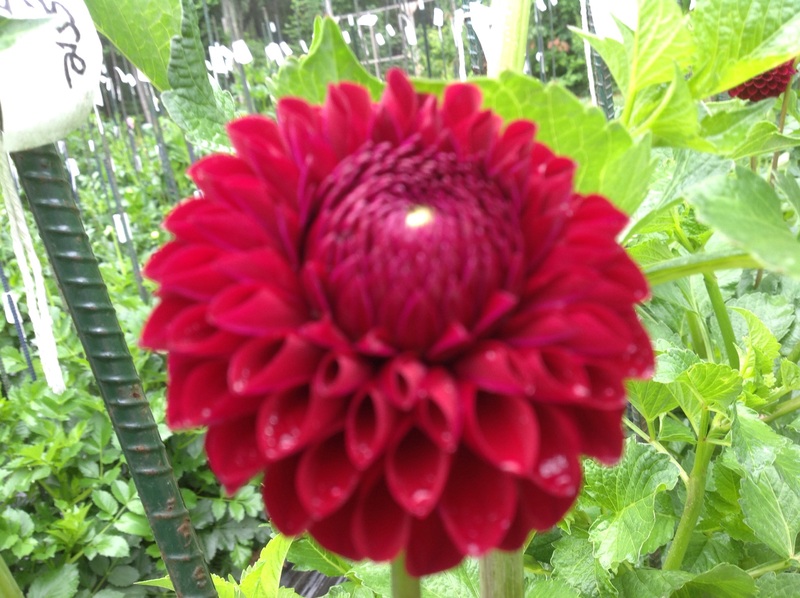 Dahlias come in a multitude of colors: from white and pale yellows to oranges, reds and deep magentas and burgundies. They are exhuberant flowers from a few inches in size to the famous dinner-plate sized beauties. 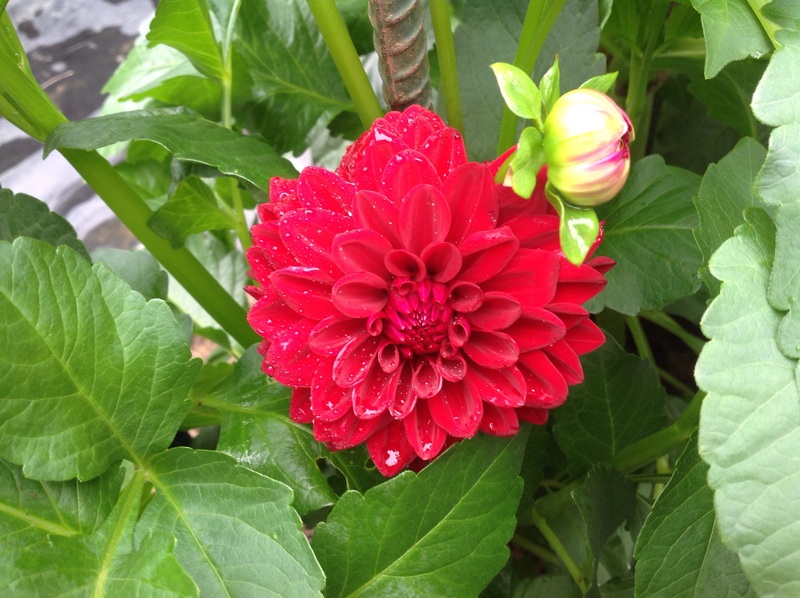 Dahlias are popular for flower arranging and for wedding bouquets. Some varieites have streaks, spots, stripes, variegation or frosted tips on the flower form keeping the flowers interesting with equally amusing names such as Wildman. 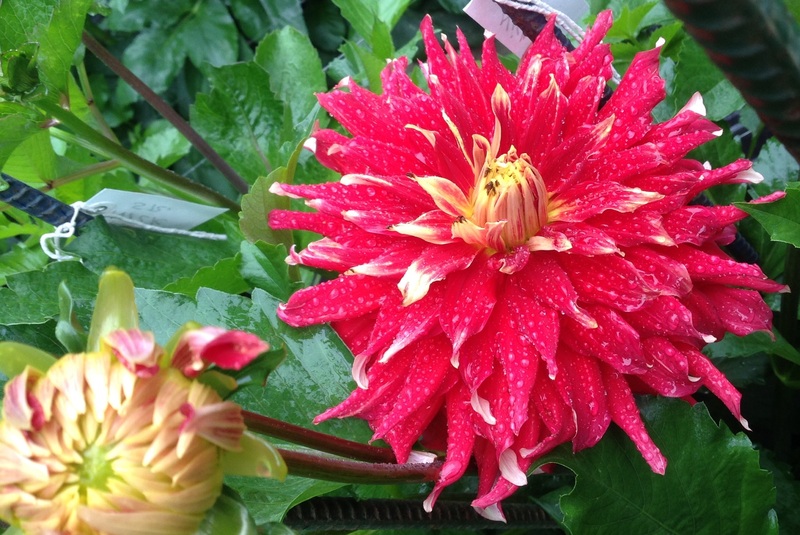 In fact dahlias are the most popular flower for competitive growers. 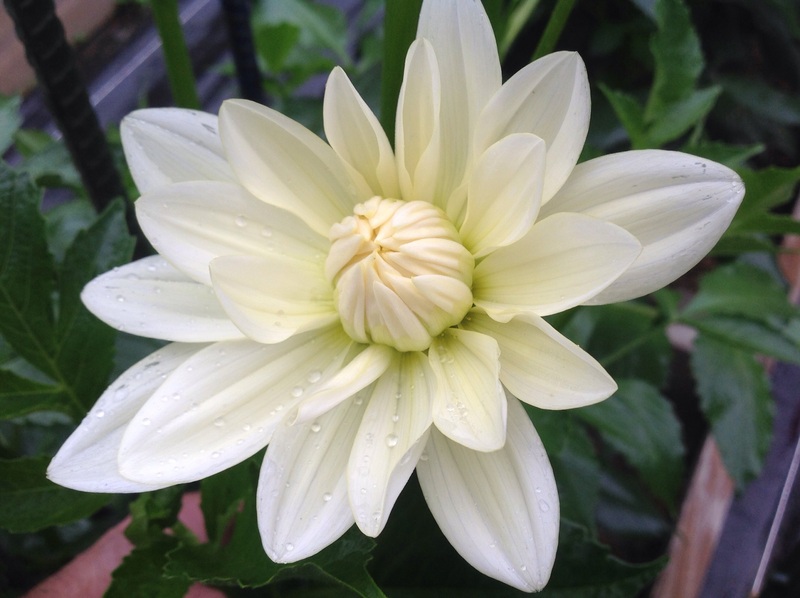 For the best growing success, The American Dahlia Society recommends buying tubers that have been tested and grown for your climate and soil type. 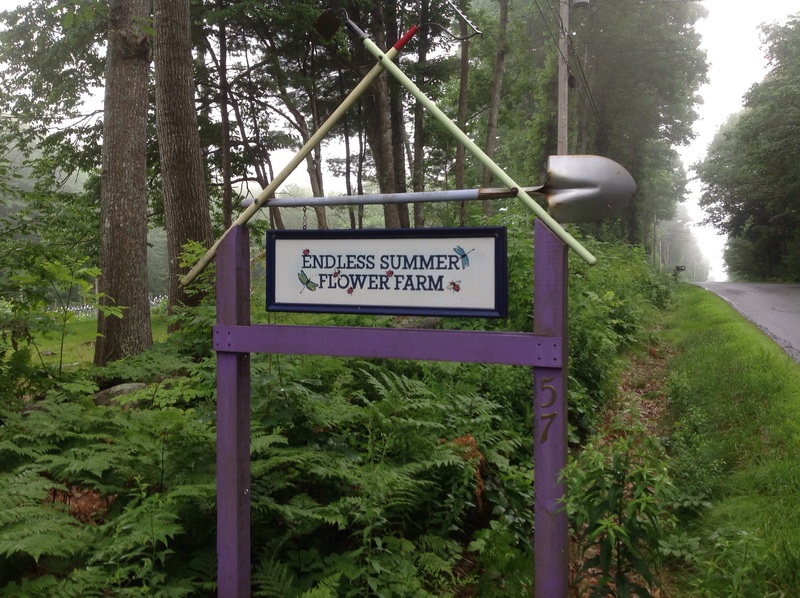 This summer I had the pleasure of returning to the Endless Summer Flower Farm in Camden Maine. Owners Karen and Phil Clark graciously gave my husband and me a tour of the farm and shared their infectious enthusiasm for these flowers. 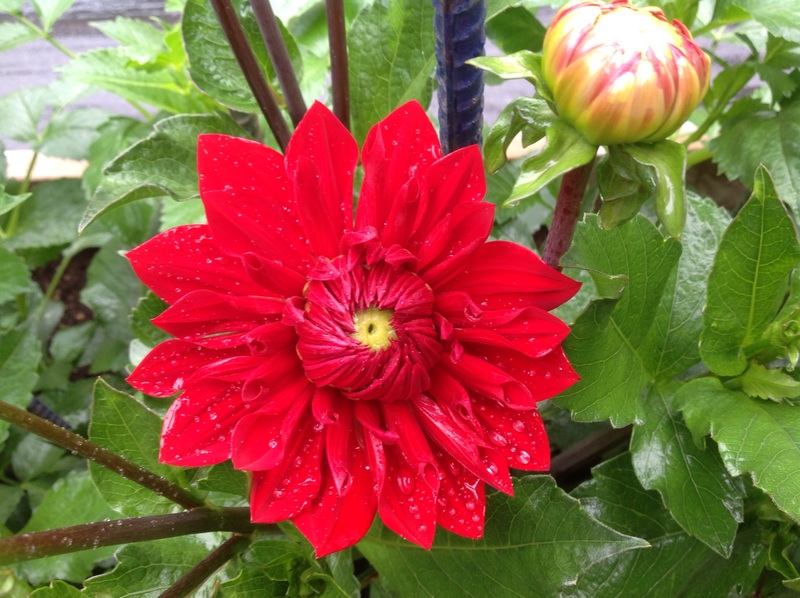 In spite of the rain and the delayed growing season, the dahlias were dazzling. 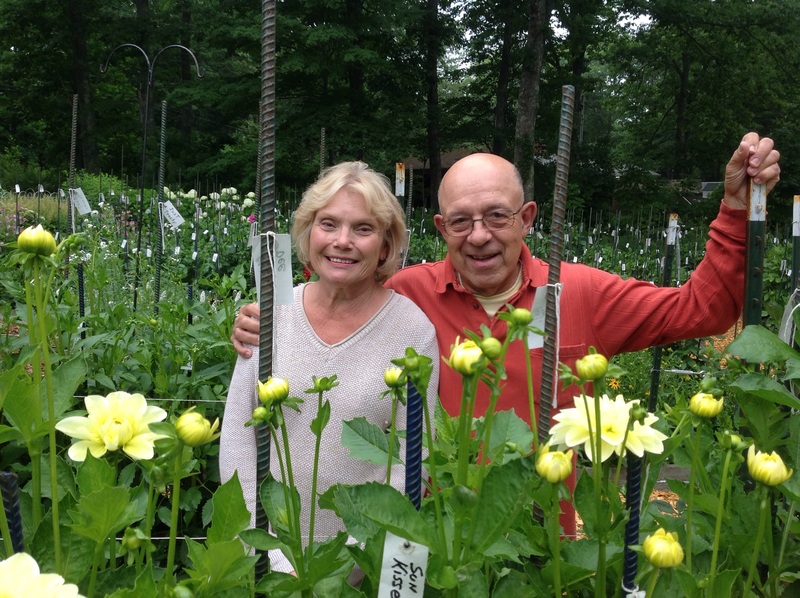 The farm boasts 4500 plants and features 193 varieties of dahlias. All tubers are sold fresh and have all been tested in-ground on the farm. This year alone, the Clarks have added 20 new varieties. 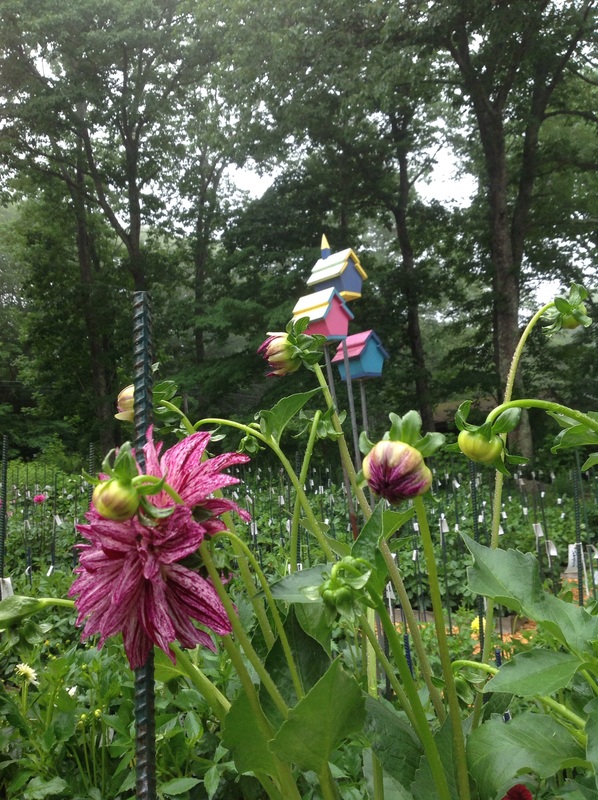 Join me on a tour of the Endless Summer Flower Farm and be dazzled too! 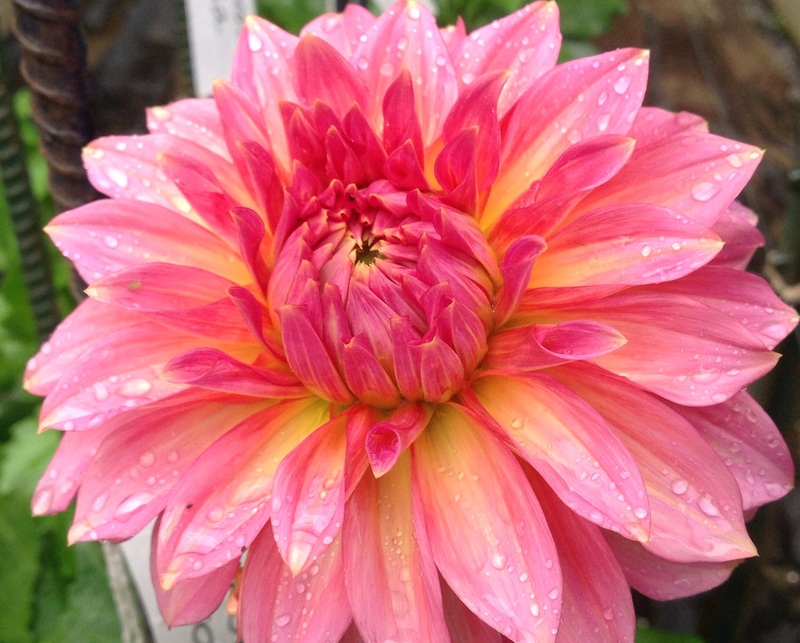 Spartacus, a dinner plate sized dahlia with a name to suit its stature and color! 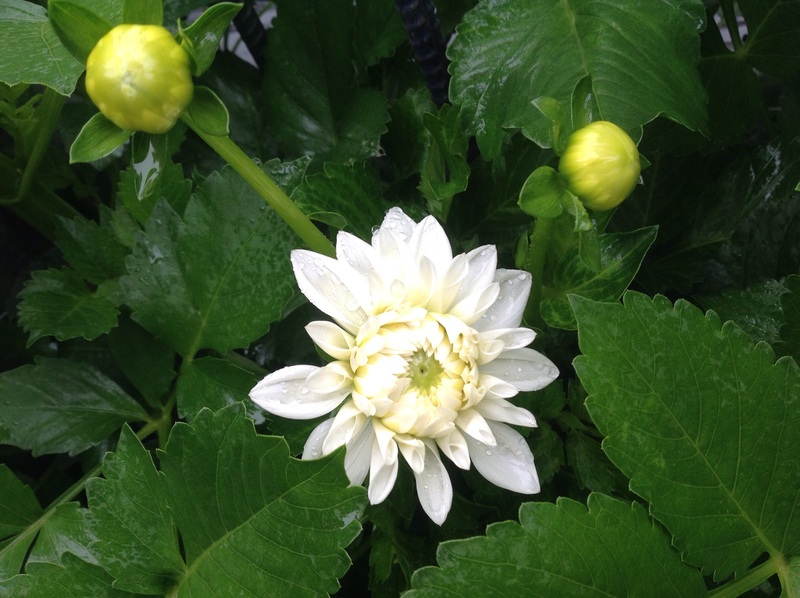 Cameo, one of the many types of white dahlia, the farms’s most popular color because of demands for weddings. Kelvin Floodlight, another favorite for wedding bouquets. New staking being tried this year: rebar posts supporting 3 rows of horizontal wire networks. Phil Clark hard at work! As every gardener knows, it will soon be time to dig up the tubers for winter storage. 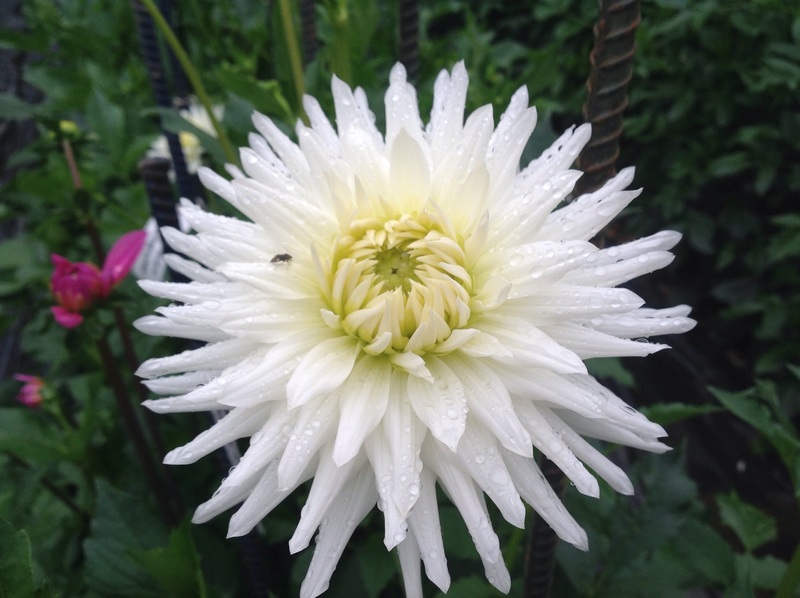 Dahlia tubers are frost sensitive and will rot if left in the ground. 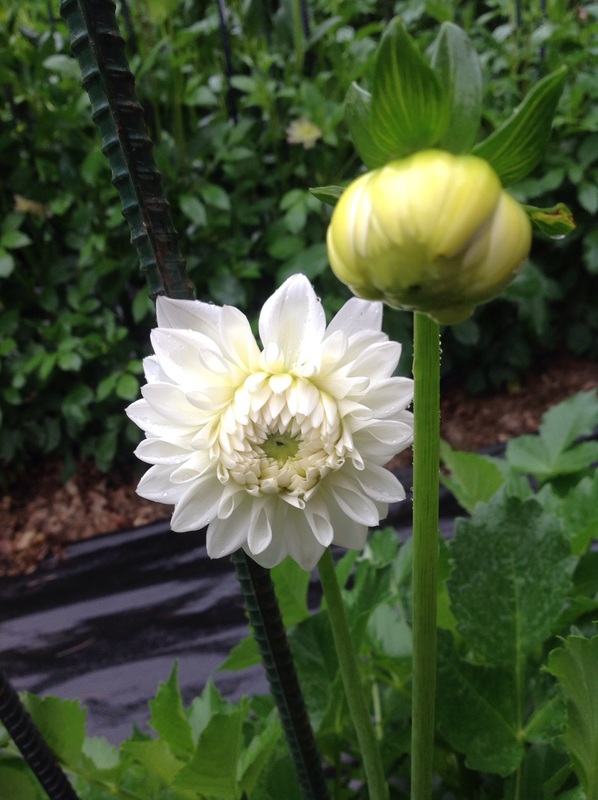 Even if you live in a warmer climate, the tubers will produce better flowers if they are dug up and divided. There are many methods suggested for storing the tubers and I have had various success with them. Essentially, the tubers are dug up after the first frost. 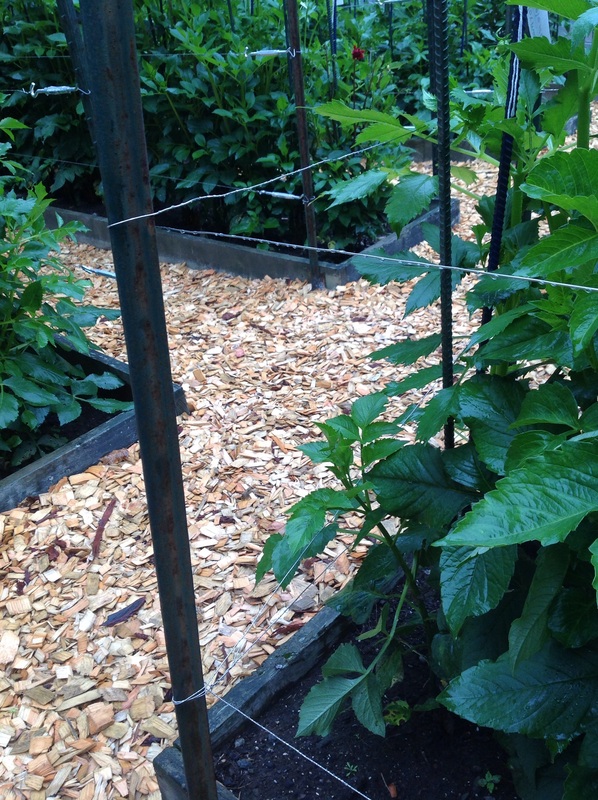 The foliage is cut back and the tubers hosed down to clean off the dirt. They are left to dry overnight or up to a week. It is best to divide the tubers before storing. Make sure an eye is left on each tuber division. They should be marked with the name of the species, for identification purposes, once dry. You can use a sharpie marker to write directly on the tuber or label the storage container if single varieties are stored together. Some gardeners store the tubers in peat moss or wood shavings. Others wrap them loosely in newspaper to let air circulate. The 2 main problems are rot or dessication and I’ve experienced both. At Endless Summer Farm, I learned a new method of storage that Phil Clark assures me works best: storing the tuber wrapped in plastic cling wrap. This is the method I will use this year. Lay plastic wrap down and begin wrapping each tuberwith one layer of plastic. Add next tuber and fold over once again. Continue until you reach the end of your plastic. I got 5 tubers wrapped. Store your wrapped tubers in a lidded container in a cool dark place. Make sure to label the tubers before storing. Last fall I dug up some Carolina Burgundy tubers and stored them in newspaper. I did lose several tubers to dessication but was rewarded with some beautiful reblooms. The tubers freshly dug up. Labelling the tubers with a sharpie. The tubers after over wintering in newspaper in a cool basement. The replanted tuber with new foliage growth. Summer glory! Reblooming Carolina Burgundy. 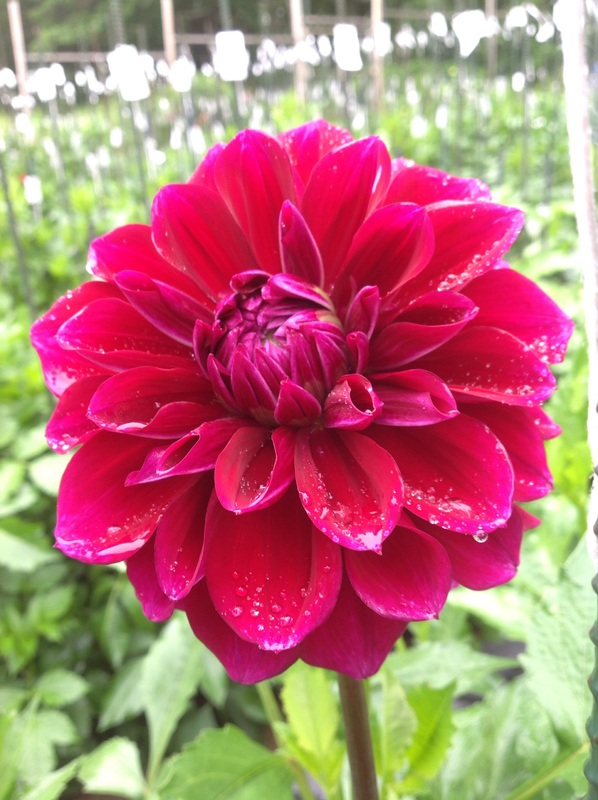 Summer Beauty: The glorious Carolina Burgundy dahlia in its second summer. I hoped you enjoyed visiting Endless Summer Flower Farm with me. You can visit their site to place mail orders for tubers, here. A very special thank you to Karen and Phil Clark for sharing their warm welcome to the farm. 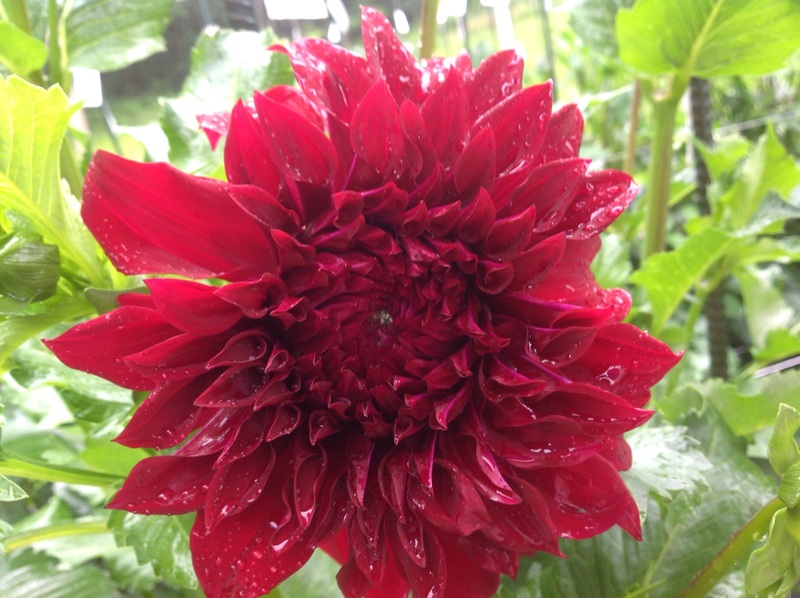 Happy dahlia gardening! 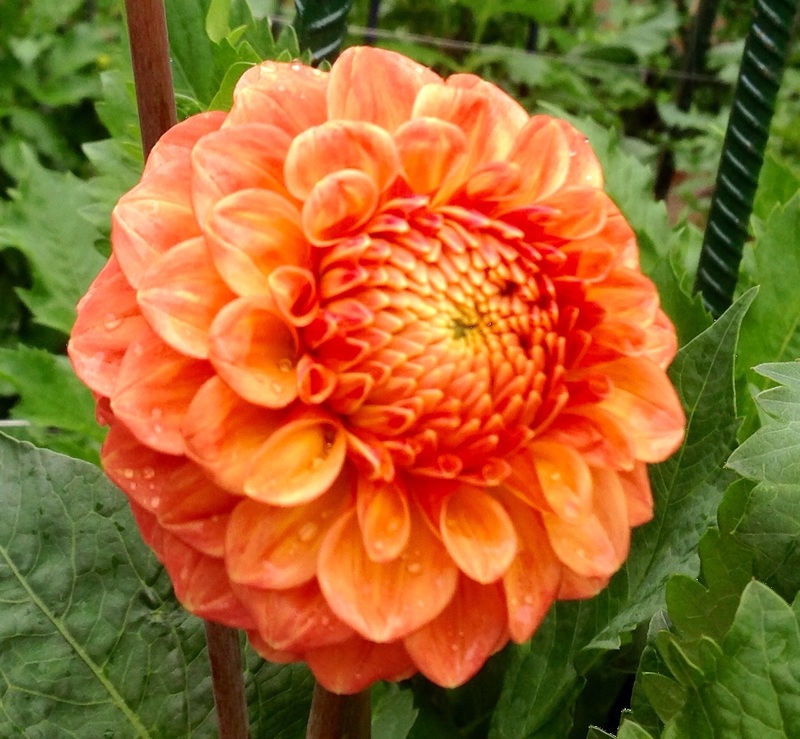 This entry was posted in Gardening and tagged A visit to a dahlia farm, dahlia blooms, endless summer flower farm, Gardening, saran wrap method of over wintering dahlia tubers, storing dahlia tubers for winter by Johanne Lamarche. Bookmark the permalink. 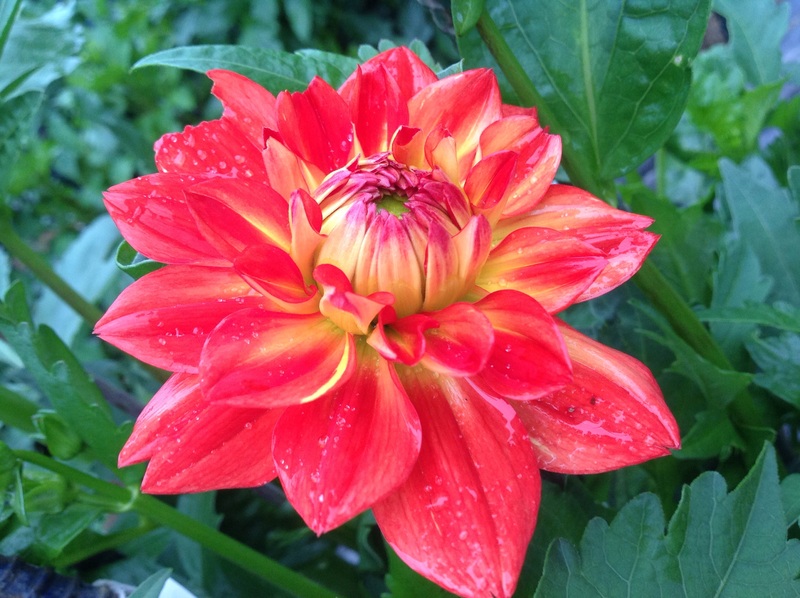 Just loved all your beautiful photos of dahlias! Thank you! They are such gorgeous flowers and endlessly fascinating to look at! 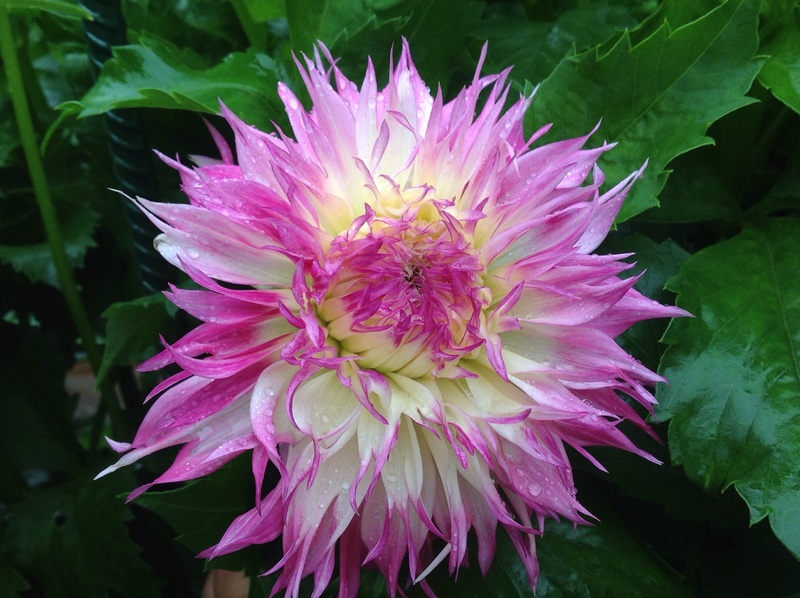 These dahlias are nothing less than dazzling. I used to grow these, but not in the last few years. After seeing your post, I’m wishing I had them in my garden again. Maybe next year. Thanks for sharing these photos. They are work if you plan on overwintering them. I found them scarce to buy this summer. The last bunch of photos at Chanticleer I took when on a walk with Dona this week to hear all about her precious Charlotte. Wish you were with us too Marlene! Xo always love hearing from you. Having grown dahlias for several years now I can really appreciate what these gardeners have accomplished. I will try the cling wrap too this year. It makes sense and I’m looking forward to trying it too. Eye candy indeed! 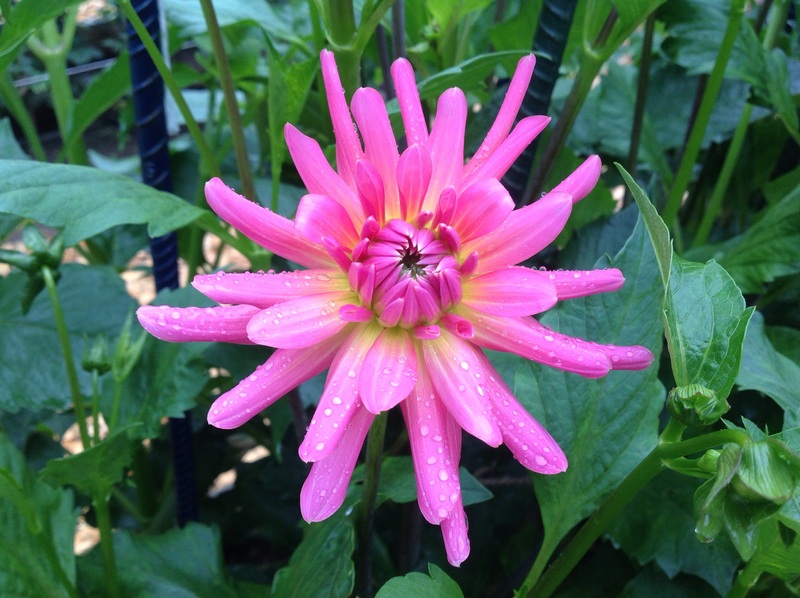 I love Dahlias and the sheer variety in this post has me feeling giddy 😀 I have a pot of tiny dahlias that I’ve been growing thru spring and summer. Can you tell me if I should just dig out the tubers from the pot too and store them? Absolutely Naina! The newspaper stored tubers were from potted ones. Next year you can repot them in a larger pot or a couple of pots or in the ground as I did and got several bigger plants as the tubers should be divided. Try the plastic wrap method for the best success. Oh what a beautiful and interesting post Johanne. Here in Nashville TN it is warm enough in the winter that we do not have to do much to keep our Dahlias growing strong all year. We just cut them back and they come right back up the next summer. I do love your Saran Wrap method of storage for the tubers…just another good used for our kitchen plastic wrap! I would so love to see this farm with all their incredibly colorful Dahlias. Thanks for sharing your excursion. How lucky for you Teresa! 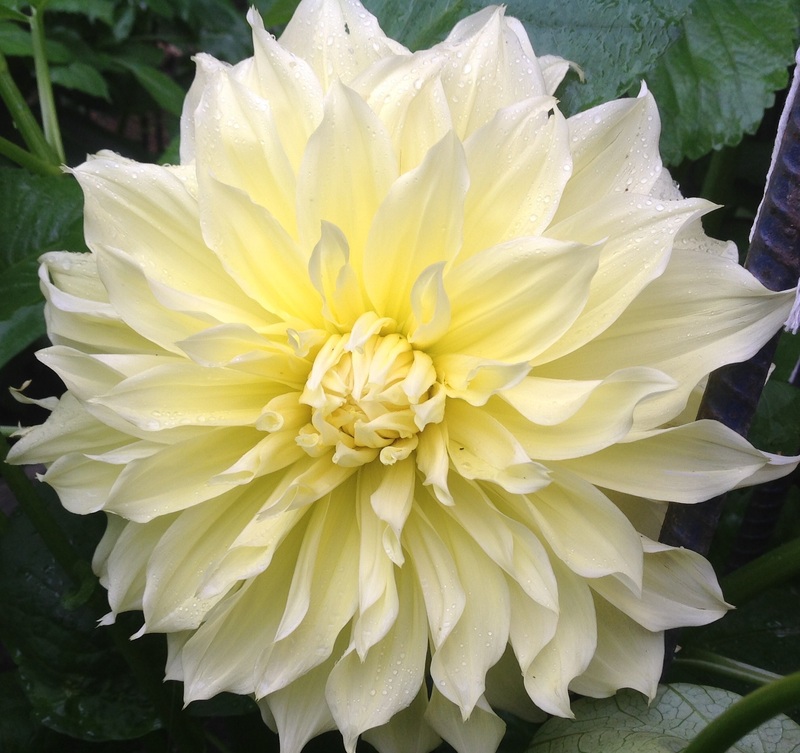 I know having to dig up the tubers keeps many gardeners from planting dahlias. 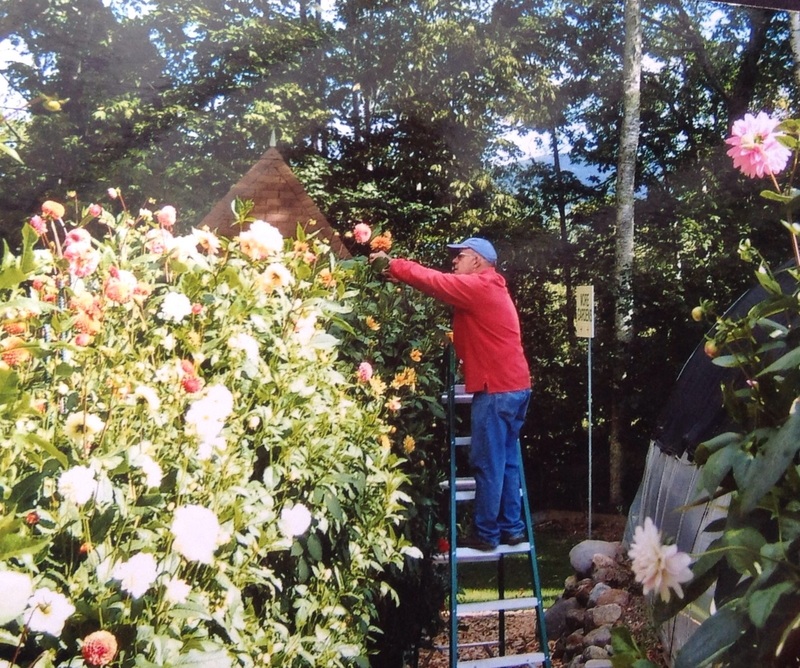 I had read the digging up helped ensure the most productive blooming in warm climates. Do you ever divide them and just replant them without letting them go into dormancy? 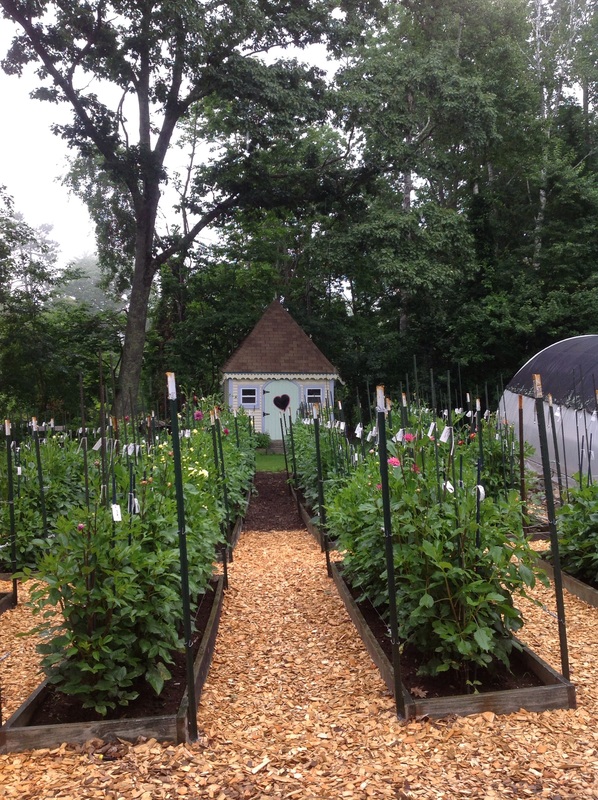 If you go to Maine, this farm is a must see! 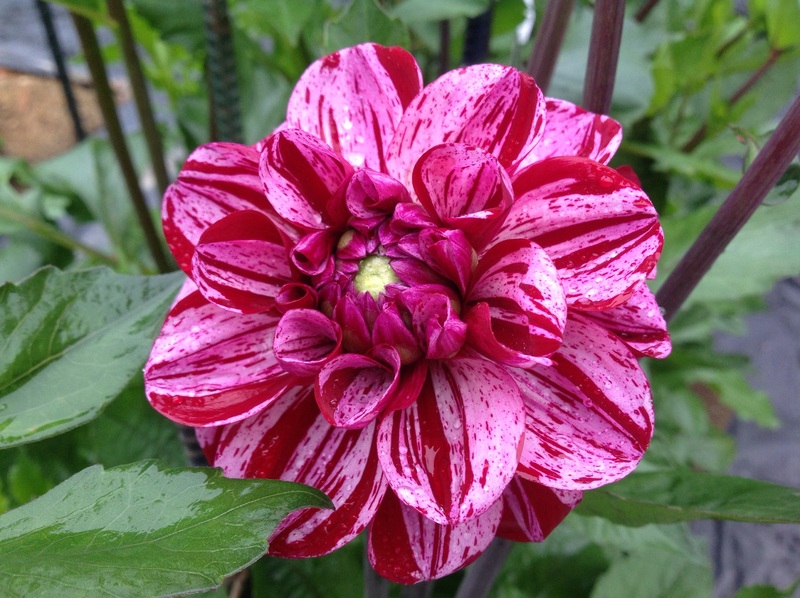 I have just been disabused of my notion that dahlias were just overly complicated high maintainence zinnias! Lovely post! It’s just the remembering to dig them up come frost that makes them a teenie tiny bit more work but so worth it. They are one of the few flowers going strong in my fall garden. After hearing from a southern gardener I may experiment with some in pots, just being the pot inside for the winter without digging them up and putting them back out in spring in the same pot and see how they do. That would be even easier right? 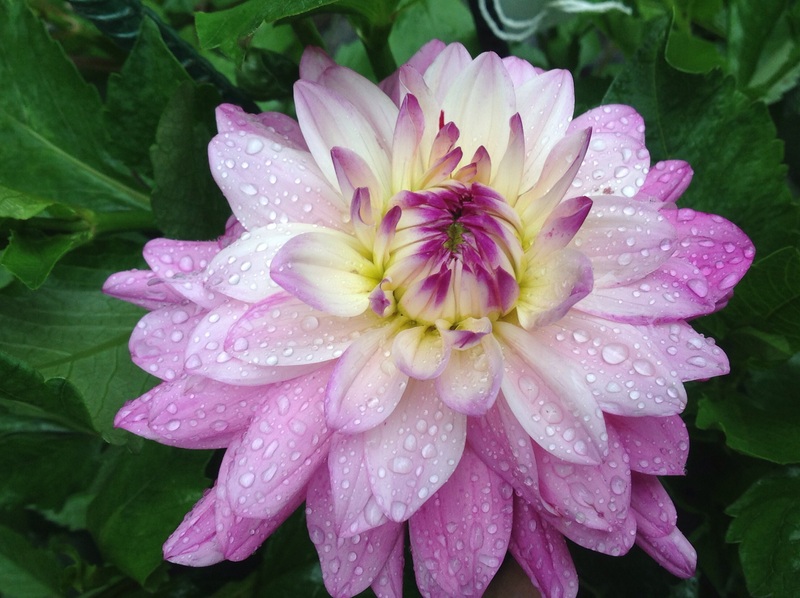 I am predicting dahlias in your future. Plus….if you find them at a great discount, you could just treat them as annuals.